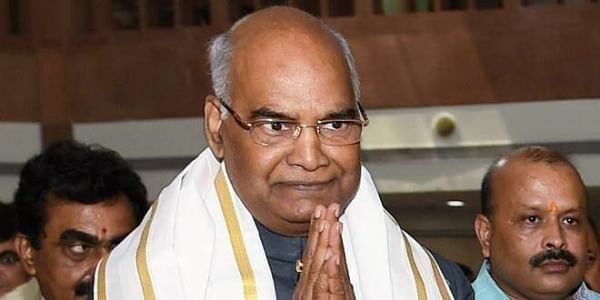 President Ram Nath Kovind will embark on a four-day visit to the north-eastern states of Assam, Arunachal Pradesh and Manipur from November 19. GUWAHATI: President Ram Nath Kovind will embark on a four-day visit to the north-eastern states of Assam, Arunachal Pradesh and Manipur from November 19. This will be Kovind's first visit to the northeast after becoming the President, an official statement said. While the President will participate in the valedictory function of the completion of Vivekananda Kendra at Itanagar on November 19, he will dedicate the new legislative assembly of Arunachal Pradesh to the people the same day. The President is scheduled to address the legislators at a special session of the Arunachal Pradesh Assembly. The next day, he will attend the closing ceremony of the Namami Barak festival at Silchar in Assam and a civic reception at Guwahati organised by Gauhati University. The President will go to Manipur on November 21 and inaugurate the North East Development Summit and the annual Manipur Sangai festival. Kovind is expected to visit the INA War Memorial at Moirang on November 22 before returning to Delhi.